A kaleidoscope of forms and colours from a mysterious past, within the bowels of the earth. A visit to Ispinigoli, in the Supramonte di Dorgali area, a few kilometres from the village, is an exciting and evocative descent taking you underground, to a room that is 80 metres in diameter and will strike you for its natural beauty and historical value. 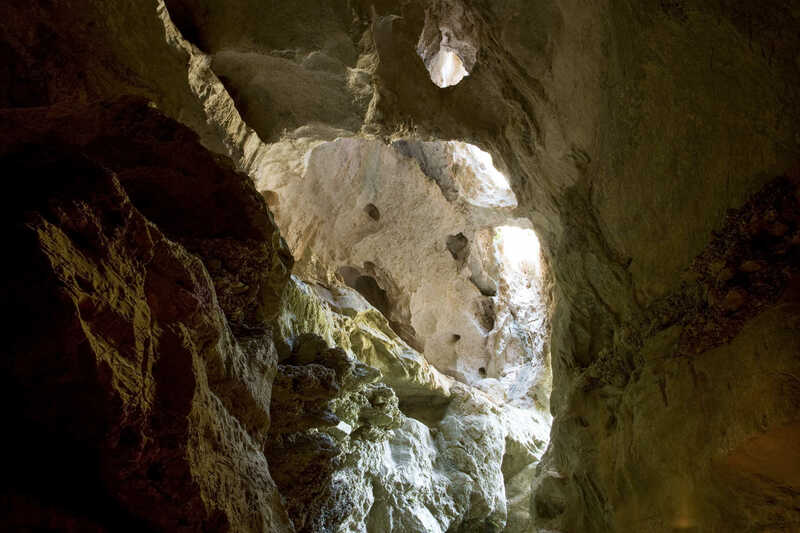 Inside the cave, which has been open to the public since 1974, you will walk along a well-equipped trail: the constant cool temperature - always 15 degrees - will accompany to you along the 280 steps of the descent. After going through the entrance, from the natural terrace, you will be captivated by a 38-metre high column, among the most impressive in Europe, a majestic limestone concretion that joins the vault to the base of the cave. It is the beginning of a beautiful sight that will captivate you. 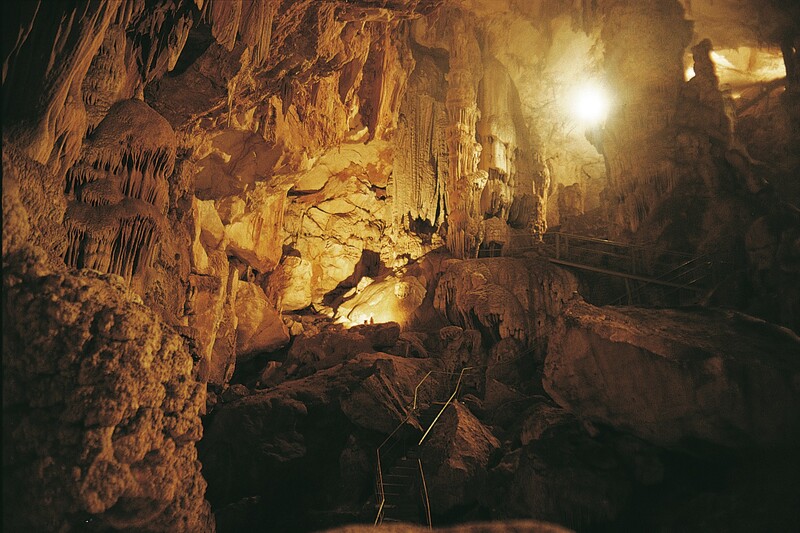 An exceptional environment in every detail: from the enormous concretions that stand out from the walls to the small and tiny stalagmites and the undulose formations. It is a game of colours and contrasts, getting gradually more intense as you go deeper down via the steps, brushing against the yellowish limestone with various forms and undertones, until you reach the base of the huge column. Furthermore, in the 'Abyss of the Virgins', only expert speleologists can continue on. It is a narrow canal that is 60 metres deep, stretching for about 12 kilometres and connecting to the cave of San Giovanni Su Anzu. Basically, Ispinigoli is the part that can be visited of the entrance to an enormous karst system, with underground offshoots and streams. The chasm is of exceptional historical-archaeological interest: Nuragic, Punic and Roman findings have come to light, demonstrating its long use as a burial place and one of worship. Human remains have been found, as well as rings, necklaces and sun symbols, bringing to mind a Phoenician sacrificial well: human sacrifices may have taken place here. During the world wars, Ispinigoli was place of refuge and, until the middle of the 20th century, it was used by shepherd as a shelter for their flocks. Close to the cave, there is a hot water spring in which you can bathe and a well-known restaurant, where you can taste typical Sardinian cuisine. The Supramonte area is one of the most remote treasure chests on the Island, dotted with towers, valleys springs and other deep caves. 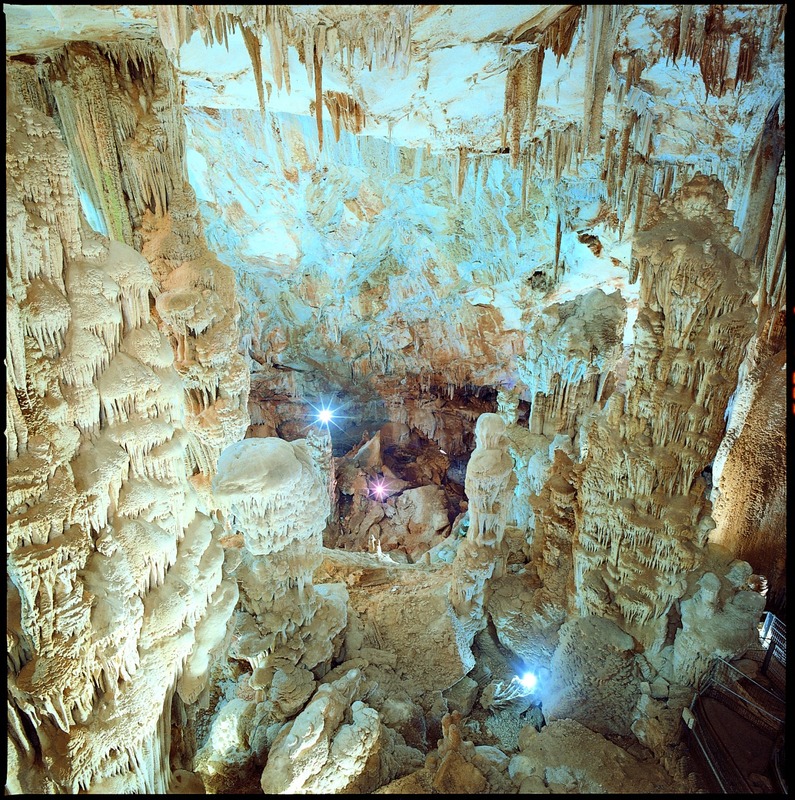 In order to complete the 'underground' tour, a boat trip in Dorgali, from the Grotte del Bue Marino, is a must, while in the adjacent territory of Oliena, you cannot miss out on a visit to Sa Oche and Su Bentu, one of the largest karst systems in Europe, and the Grotta Corbeddu cave, in the majestic valley of Lanaittu, that gets its name from a famous bandit who had his hideout here. Come out of Dorgali (NU), in the direction of Orosei (NU), along the SS 125, and at km 209.4 turn right for the cave of Ispinigoli. Do you like this place? Cala Gonone and Santa Maria Navarrese could be your ideal destinations.